Got up early and checked out of the hotel at about 9:30am. 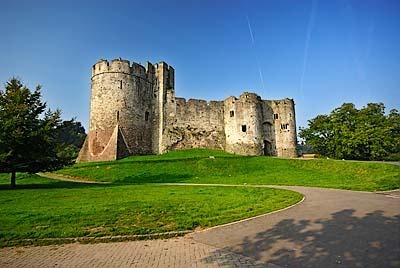 Then off up the A48 into Chepstow to visit Chepstow Castle(have you gathered the main theme of the weekend yet). From there we took the A466 to Tintern Abbey, potentially a really nice twisty road but spoiled by slow cars and double white lines. 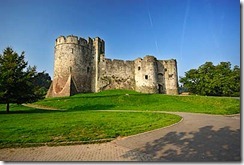 After we had been to Tintern Abbey it was back on the bikes and up the A466 Monmouth, then we cut across country on the B4347/B4233 in search of White Castle, but because it wasn't signed we missed it and time was getting on, so we gave it a miss. We then carried on up the B4233 to Abergavenny. Got on the A465 to Merthyr Tydfil, then jumped onto the A4077 at Gilwern to meet up with the A40 to Brecon. Due to heavy traffic we left the A40 and headed up A479 to Builth Wells and pretty much followed our route coming on Friday to get back home.